What in the world is a pedicle screw? Here’s another fun word: percutaneous … check out this piece to find out what these terms are and how they can help! The use of percutaneous pedicle screws has been around for a number of years. Primarily, percutaneous pedicle screws are utilized in treating lumbar spinal disease. In this article, we shall briefly review this contraption and discuss its clinical applications. Percutaneous pedicle screws are typically utilized in the management of spinal disease. 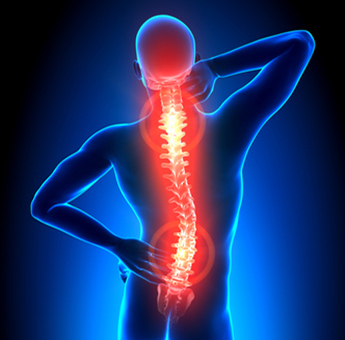 Spinal disease often involves the lumbar spine and can include conditions such as degenerative disc disease, herniated disc disease, spondylolisthesis and even stenosis of the spinal canal. Many times, patients are subject to medical management before considering the use of percutaneous pedicle screws. In the clinical conditions described above, the stability of the spine is altered and can cause patients a great deal of pain and distress. Furthermore, they may have difficulty balancing the torso and this can subject the spine to further injury. Pedicle screws are utilized to provide support to the structure of the spine by holding the bones together and the intervertebral discs in place. Along with the screws rods are utilized that hold the bones in place as well. Typically, percutaneous pedicle screws are utilized in lumbar interbody fusion procedures such as anterior lumbar interbody fusion, posterior lumbar interbody fusion and subtypes of each of these procedures. Percutaneous pedicle screws are inserted in the required area through open surgery. The region where the screws need to be inserted is exposed after skin incisions are made and the muscles are moved aside to expose the spine. The exact point where the procedure needs to be performed is often determined through fluoroscopic, i.e., X-ray examination. Once the defect has been corrected, the vertebral bones are held together using the screws and the rods. The muscles are then replaced and the skin is closed. The rods and screws remain in place for life. Percutaneous pedicle screws are often of similar types and are manufactured by different companies. If the material used is strong metal that does not cause any untoward reactions in the place where it is inserted. One such company that manufactures Precept brand pedicle screws is Nuvasive. The main advantage of using percutaneous pedicle screws is that spinal stabilization can be achieved without damage to elements that are present the back of the spine. Only a small incision is required, which heals rapidly. There is minimal blood loss and minimal damage to muscles. Percutaneous instrumentation and pedicle screws are utilized in the treatment of lumbar spinal disease. The advantages are numerous and long-term outcomes can be excellent. Clinical indications are limited, but the benefits that patients can obtain within these conditions can be rather remarkable.